Instructions: Answer the questions in detail to show that you understand the issues, procedures and concepts involved. Facts: John was driving from work one evening during a snow storm. The snow was blowing heavily and the roads were slippery. John was stopped 3rd in line at a traffic light when he was rear ended and shoved into the car in front of him. The car that rear ended John was driven by Gail, who was a newly licensed driver who had never driven in a winter storm before. When the police arrived, Gail told them that because of the blowing snow she didn’t see John in time to stop. The accident happened at a busy intersection in a commercial area. There is a bank on one corner and a service station on the other. There was a woman in a car stopped at the traffic light headed in the opposite direction who witnessed the accident. She gave her name to the police. John suffered a severe injury to his spinal cord and will be unable to return to work for years. He was earning $100,000 a year as a construction worker. His medical and rehabilitation expenses will cost $1 million dollars. He has a wife and two children. Although his car was equipped with a seat belt John was not wearing it. Q1. John’s wife calls you from the hospital immediately after the accident and asks you to represent her husband. What is the first you are going to do? A1. The first step I would take would be filing a petition/suit against Gail in the appropriate court and serve it to the defendants. Q2. You file suit against Gail. This accident happened in Buffalo, NY. What court are you going to file with? A2. I would file my case in the United States District Court for the Western District of New York. As it has the jurisdiction over the state of Buffalo, NY. Q3. What pre-trial discovery are you going to ask for as John’s Lawyer? A3. “Depositions and discovery”, these are to be asked for in the pre-trial phase. These may include different documents, evidences, interrogatories, admissions, etc. Q4. Who are you going to take depositions from? What do you hope to accomplish this? A4. I would take depositions from Gail or the counsel representing her. This might include a written statement of the defendant. This written statement would act as evidence. I hope to see what type of impression does the client, Gail will make with a jury in the unlikely event if this case goes to the trial. Q5. You are preparing to select the jury. As the attorney for John, who is your ideal juror? A5. Picking the ideal or best jury is a combination of knowing the psychology of human judgement and luck. Q6. During jury selection one of the potential jurors tells you that she was unjustly sued and thinks that plaintiffs lawyers are bad people and so are their clients. What are you going to do about her and what grounds do you have? A6. I would try to convince the jury and help them understand my client’s position, loss and suffrage. And further I would try to prove to the jury that Gail was an inexperienced driver, not experienced enough to drive through a snow storm and she was driving rash and negligently. Q7. When Gail testifies at the trial you will cross examine her. What are some of the questions you will ask her on cross examination? (a) Why did she not able to control her car? (b) What was the speed of the car at that time? (c) Was she an experienced driver? (d) Did she drive in winter storms ever? Q8. What items of damages are you going to sue her for? (e) Maintenance of the wife and children of John, since he is unable to work and earn. Q9. What defense is Gail’s lawyer likely to raise about damages? What does she need to prove? A9. Gail’s lawyer would say that it was an inevitable accident and not Gail’s negligence. The lawyer would state that Gail tried her best to stop the car, she tried to fulfil her duty of care, but it was an inevitable accident, because the roads were slippery and due to snow fall it was hard to see the rest. Q10. What is the burden of proof on John’s claim of Gail’s negligence? Explain it. A10. Burden of proof on John it to show that Gail for driving rash and negligently, without applying brakes. And it was not an inevitable accident, but a rash and negligent act on the part of Gail. Q11. What is the burden of proof on Gail’s defense? Explain it. A11. Burden of proof on Gail lies upon, that, she tried to prevent the accident, she wasn’t rash and negligent but it was an inevitable accident. Q12. What is the trial judge going to tell the jury the definition of negligence is? A12. The trial judge would state that negligence is normally an act, and sometimes omission, where one fails to act on the level of care that any person of normal prudence would have taken and in turn amounts/leads to some damage or loss. Q13. The case is tried before a jury of 6. How many jurors must agree for John to get a verdict? A13. At least 5 jurors have to agree together to a verdict even if one disagrees. In courts with 8 jurors, 2/3rd of the total, at least 6 have to agree to make a verdict. 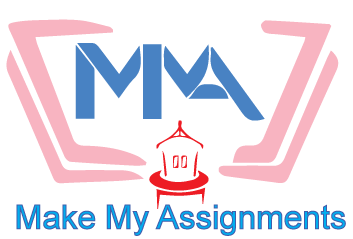 For Law Assignment Help, or any other online assignment help, visit www.makemyassignments.com.